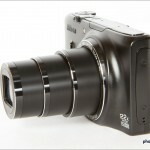 The pocket-sized Nikon Coolpix S9500 has an incredible 22x optical zoom lens and built-in Wi-Fi. Read our hands-on review by photographer Patia Stephens to find out how it measures up. Through A Glass, Briefly: My Experience Renting A Lens After years of hearing about the epic spring bird migration at Freezeout Lake on Montana’s Rocky Mountain Front, I finally made the trip in late March. I decided to try renting a lens for my weekend adventure. This guide was originally published in 2008 but we’ve updated it for 2010 with new camera recommendations as well as information on all the new HD video options, Micro Four Thirds cameras and the latest waterproof point-and-shoot digital cameras. Friends are always asking me for advice about what kind of digital camera to buy. These are normal people, not photographers or techies, and they just want a reasonably priced camera that’s easy to use and takes good pictures. This digital camera buyer’s guide is for regular people like them. Apple released its latest Digital Camera Raw Compatibility Update last week. Version 2.7 extends RAW image compatibility for Macintosh users of Aperture 2, iPhoto ’08 and iPhoto ’09 software in combination with the following cameras: Canon EOS-1D Mark IV, Canon EOS 7D, Canon PowerShot G11, Nikon D3S, Nikon D300S and Nikon D3000. Just when you thought it was safe to go back in the water, a company in Birmingham, Alabama, is offering custom shower curtains made from almost any high-resolution digital image. Apple last week announced the newest edition of its popular photo management software iPhoto. It comes bundled with iLife ’09, a suite of programs that includes the latest versions of iMovie, GarageBand, iWeb and iDVD. Getty Images this week began sending invitations to Flickr members whose photographs the stock company is interested in representing. The Flickr-Getty Images partnership was announced on Flickr’s blog last July, and the second phase was unveiled Wednesday. Getty’s new Flickr Collection will debut in March. The recent election and inauguration of President Barack Obama was a first in more ways than one. His official presidential portrait is the first in history to be taken with a digital camera.